David Worcester describes the best ways he has found to transform selfish college students into selfless missionaries. Since we started our ministry eight years ago, we have sent out eight longer-term missionaries (a semester or more). One of the reasons many get into college ministry is the strategic potential for global impact. The nations have come to us, and the people we reach are the most flexible, trainable, and sendable people on the planet. At no other time in life are people more open to Jesus calling them into the adventure of world missions, and they are just crazy enough to go for it! How do we move someone from being a selfish student to a selfless missionary? There is no factory for making missionaries, but there are ways to create opportunities for people to grow their heart for the nations. Here are three that I have found to be the most impactful. The most fruitful thing I did as the director of Challenge was lead our first mission trip to East Asia. Of the three SDSU students I brought on that trip ended up going back for at least one year after they graduated and all of them are working toward becoming career missionaries overseas! Two of the young men on the trip are now on staff and preparing to go back overseas. The young women ended up marrying my younger brother who is doing college ministry in East Asia. God used that trip to create a culture of global outreach that has permeated our ministry since. As I get older, short-term trips become more of a sacrifice. I now have a wife and kid at home. But if we are asking our students to sacrifice, shouldn’t we? The passion of the leader will bleed over to those in your ministry. As staff or director, are you willing to go yourself? We dedicate one whole meeting in the Fall semester to sharing about past trips and current opportunities. We call it the “Eve of Nations.” We don’t do a sermon; we don’t do music; we dedicate the entire night to hearing stories and challenging our people to consider missions. Hearing from their peers about how a trip impacted them is the best advertisement. The students who are impacted don’t just share from the stage.Their stories are shared informally with their peers as well. The more students who go and have a great experience, the more other students will want to go. One key to creating momentum for summer missions is “adopting” a place and developing long term partners to receive your short-term teams year after year. The consistently good experience and the knowledge that our trips are contributing to the long term local vision multiplies the impact. One of our staff is about to move to East Asia for a longer term assignment. We celebrated his departure and laid hands on him at our missions night. Instead of mourning the loss of a worker for our ministry, we hold him up as an example to follow. In Gaining by Losing, JD Greear emphasizes the importance of creating a ministry that celebrates sending capacity over seating capacity. As a college ministry, we have no choice but to send people! After four or five years, our students leave whether we want them to or not. For the college minister, the question is not if we will send, but what type of people will we send. We also have a different night where “The Traveling Team” comes and shares the biblical story of God’s heart for the nations with our group. We have welcomed missionaries to speak to our group, gone to missions conferences, and have put the vision in front of them in other ways. For more ideas on mobilizing students check out Tim Casteel’s article called “Govember” on using the month of November to mobilize students. Our ministry at SDSU started being active in reaching out to international students. At first we incorporated international students into our ministry but we felt led to start something specifically for them. 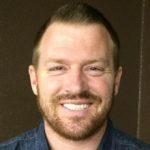 My younger brother wrote an article on how we do our ministry. We provide a free meal for the internationals every week, play games, and get to know them. Every other week we have a simple bible study that shares the Good News in a way that makes sense to them. This ministry is a perfect practicing ground for our American students who would never get a chance to interact to an international person otherwise. They get to practice building relationships and sharing the Good News with internationals here before even going on an overseas trip! Seeing international students saved and baptized here gives them faith that God can work when they go there. Once we had enough international students coming to Christ we started an international house church. We wanted to create a church similar to the one they would find (or start) when they got back to their countries. Sapphire is an international student from East Asia. She started coming to our ministry last year. She had heard very little about Jesus, but she loved the atmosphere at Challenge. She decided to come on the spring break mission trip to Chico, even though she was not even a Christian yet. She even decided to go on a summer mission trip to East Asia before she committed her life to Christ! A couple weeks before this trip, she decided to give her life to Jesus! While she was in East Asia, she shared her testimony and the gospel with other students from her country. This semester at our international ministry, Sapphire shared her testimony in front of a room full of international students and was baptized! Our hope for Sapphire is that when she returns to her country that she will continue to share her story and impact people we could never reach. What is your ministry doing to move people from selfish students to selfless missionaries? Do you as a leader need to sacrifice by leading a trip? How can you do better at sharing mission stories with your group? What opportunities do you have on campus to reach the nations here?